Portable Shelters Manufacturer in Delhi, Portable Shelters Supplier in Delhi, Portable Shelters in Delhi. With years of industry experience, we are able to offer the best quality Portable Shelter. 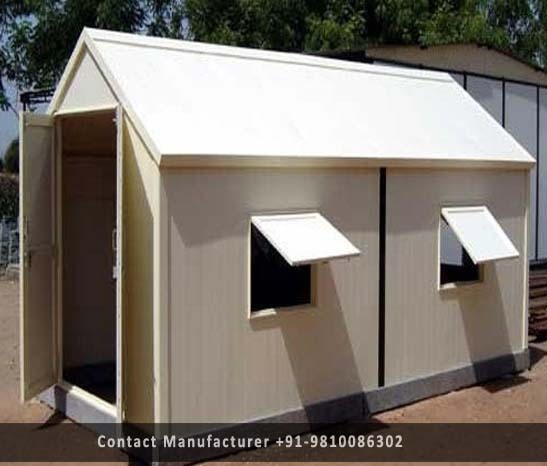 The offered shelter is extensively used in several commercial applications for temporary residing of employees or guests or used in Factories, Industries, Homes, Parks, and Restaurants. We manufacture with the latest technology is used to design and develop the best collection of Portable Shelter. This shelter is manufactured by our diligent professionals with high precision using exceptional quality raw materials and sophisticated techniques. Checked on several quality parameters, the provided shelter can be purchased at marginal prices from us.